All right. Legalized marijuana, it turns out, does not necessarily mean the end of marijuana crime. That's what authorities are discovering in Washington state, one of the first to legalize recreational pot. Five years into that experiment, there is still a black market and even criminal networks with international ties. MARTIN KASTE, BYLINE: You may not be aware of this, but we're in the middle of a marijuana glut right now. Growers in Washington state are producing so much, the wholesale prices have cratered. Jeremy Moberg runs a licensed outdoor pot farm in Okanogan County. He uses plastic sheeting to keep the chill off his newest crop. JEREMY MOBERG: One of these hoops is going to produce probably about a hundred pounds. KASTE: So here's the classic AG question - what kind of price is he getting? MOBERG: Oh, if - top dollar in packaging, right? I mean, we're paying packaging, all the costs associated with doing real business. And you're going to get maybe $1,500 a pound - tops. That's the highest amount. KASTE: That's not much. And he says other growers are getting even less. Some can barely cover their costs. And that's where the temptation begins because if they could sell this same pot in a state where it's still against the law, they'd make three or four times the money. MOBERG: I have a strong enough fear for prison and enforcement to not think about that too much, but I'm sure those that are just totally under water and lost all their money, I think it's a huge incentive for them to think that they could divert out of the state. KASTE: Diverting Washington pot to other states is very illegal, but some are taking the risk. In recent months, people from this rural area of Washington have been pulled over in Arkansas and Wyoming - caught transporting loads of high-grade marijuana. Meanwhile, a couple of the growers in this region have been cited for being sloppy about keeping track of what happens to their legal crop. 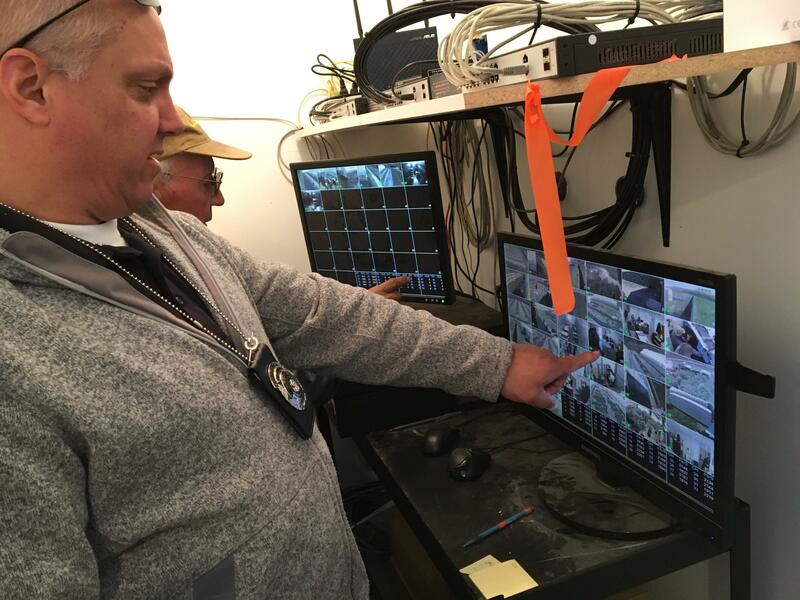 STEVE MOREHEAD: We have cameras here in the corner, here, here. This room's pretty well covered. KASTE: It's Steve Morehead's job to watch out for that. He does spot-checks on licensed pot farms. MOREHEAD: Every plant that is eight inches or taller needs to have a tag on it. The ones that are in these pots, they all have a tag on them. That's what I'm looking for. KASTE: Morehead's a retired state trooper. Now, he's an enforcement officer for the state's Liquor and Cannabis Board. It's been quite the career change. And one thing he admits he's still not used to is the skunky smell. MOREHEAD: My wife will make me strip my clothes off in the garage before I come in the house. And they go right into the washer after they air out for a while. KASTE: In his SUV, between inspections, he says he knows that these growers are facing a big temptation to divert legal product to the black market. And the state's tracking system is not foolproof. MOREHEAD: There is a lot of the honor system. How many ounces or how many pounds did you take off these plants? There's a lot of honor system for the licensee. We're trusting them to input good information. KASTE: Just a couple of weeks ago, he investigated a licensed grower who was caught using pot to pay one of his workers - a big violation of state rules. And there's something else that's complicating things here for Washington's pot police. It turns out there are still illegal pot grows in the state, that is, growers who don't have licenses, are not paying taxes or keeping track of their product, but they're pretending they're legitimate. STEVE BROWN: All of this was marijuana last year. 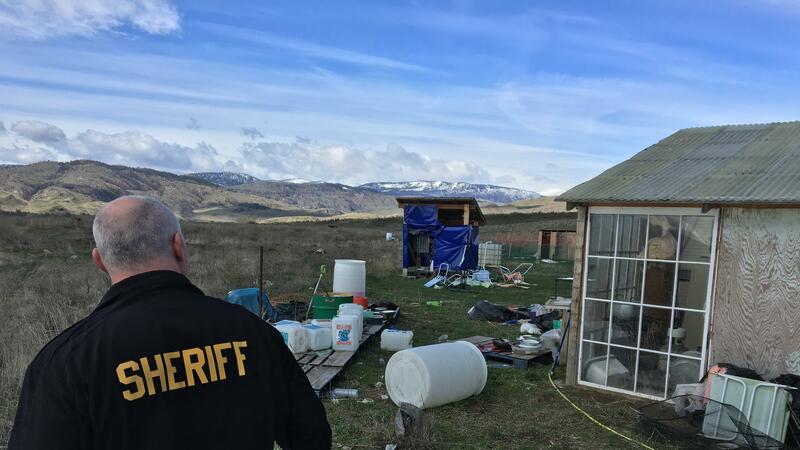 KASTE: This is the Okanogan County chief criminal deputy, Steve Brown. He's standing among the junk left over from an illegal pot farm that he helped to raid last fall. BROWN: I said, show me your permit. It's in the building. Well, go get it. Well, I don't really have it. I said, look, you guys got 10,000 pounds of weed here. KASTE: This 10-acre crop was near the road, right next to a licensed pot farm. In the old days, Brown says, at least they would have hid this up in the hills. BROWN: Now it's just out in the open because, you know, everywhere you drive in the county and you look, there's a black 8-foot-tall fence or, you know, some type of fencing. And so everybody just assumes that, well, must be another legal grow going in. KASTE: Investigators assume that the illegal growers come to Washington to blend in while they grow pot to export to other states. They also run less legal risk here. 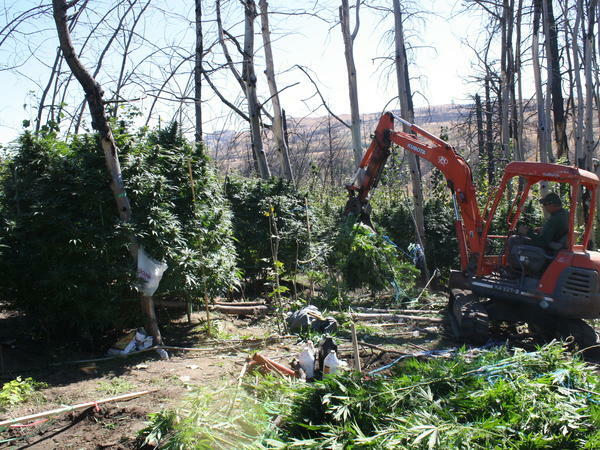 For instance, this farm turned out to be just 1 of 6 pot-growing properties in the Okanogan region, all of them owned by a network of people with connections to California and Thailand. It's the very definition of a criminal network, and yet the state penalties were relatively light. Branden Platter is the prosecutor. BRANDEN PLATTER: Most of them actually were either released on personal recognizance or had low bail. For the most part, you know, nobody was looking at a lot of time. KASTE: The stakes would be higher under federal law, but he says the DEA chose not to pick up the case. And that's interesting because the feds had warned that they'd be watching out for just this kind of thing - organized crime and cross-border trafficking. 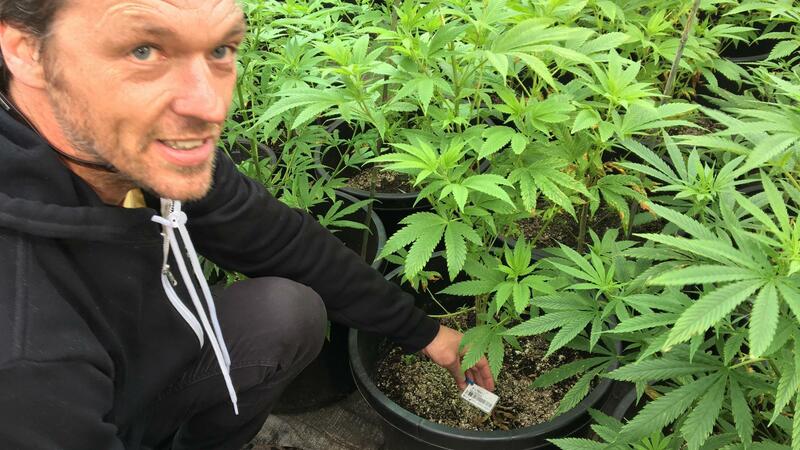 Washington's licensed growers are hoping that the feds won't see cases like this as a reason to intervene here, but what the state's legal system needs more than anything right now is higher prices for those who are playing by the rules. Martin Kaste, NPR News, Okanogan County, Wash. Transcript provided by NPR, Copyright NPR.